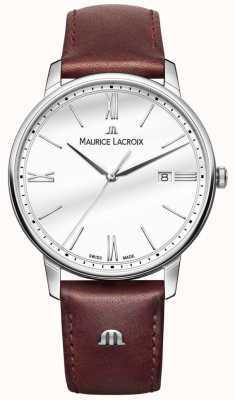 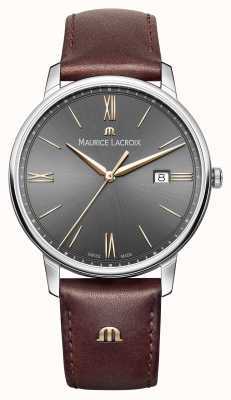 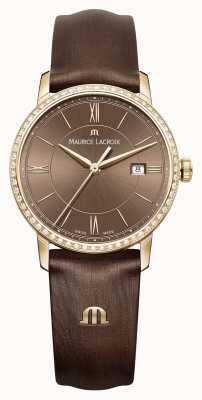 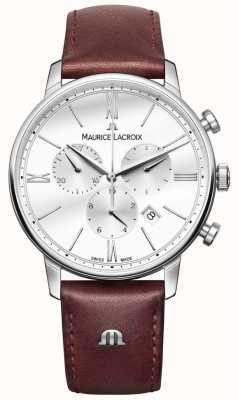 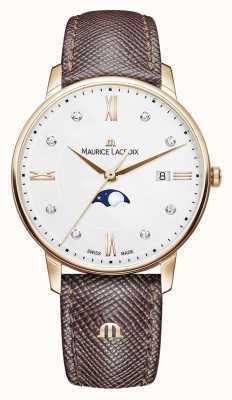 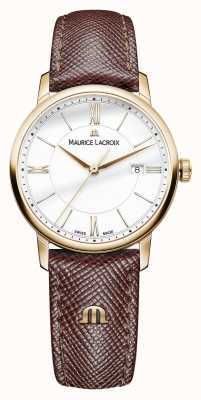 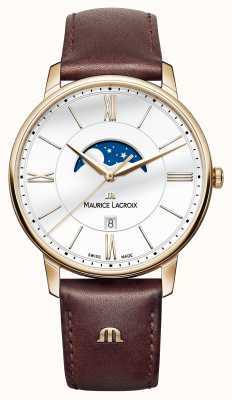 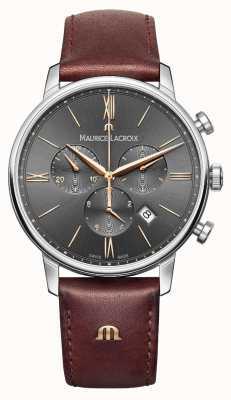 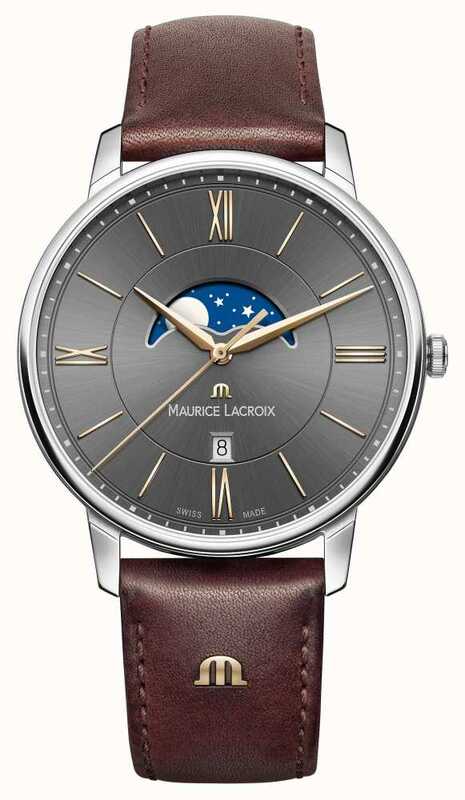 The Maurice Lacroix Eliros moon phase is a sophisticated moon phase men's watch from home of Maurice Lacroix. 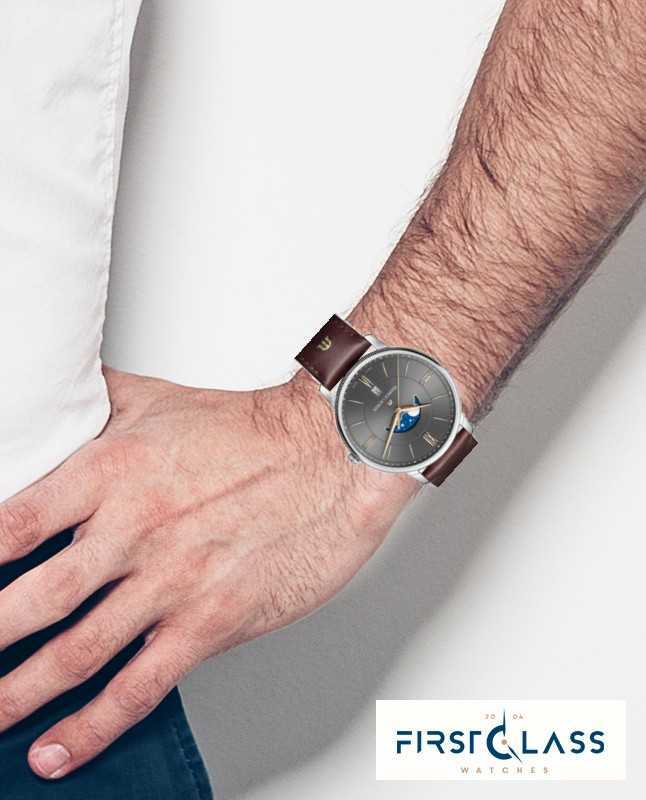 Powered by a Swiss quartz movement this elegant moon phase men's watch uses innovative X-change technology which means the brown calf leather strap can be changed without tools. 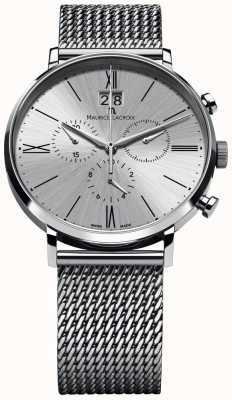 The strap with 20mm lug has a pin buckle in PVD Stainless Steel 316L and is 19cm long. The sapphire crystal on both sides is anti-reflective. 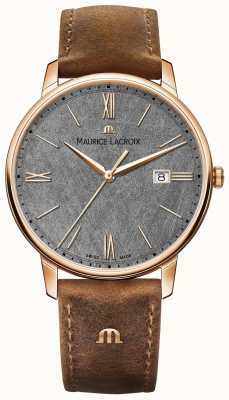 A brushed and polished case and elegant hands make this high quality Swiss made timepiece something you can be proud to have on your wrist. 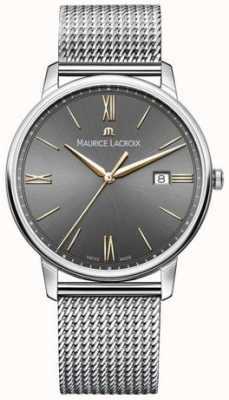 First Class Watches are Maurice Lacroix watch retail partners so you can be assured your sparkling new watch will arrive with a stamped manufacturer's warranty, packaging and instructions.